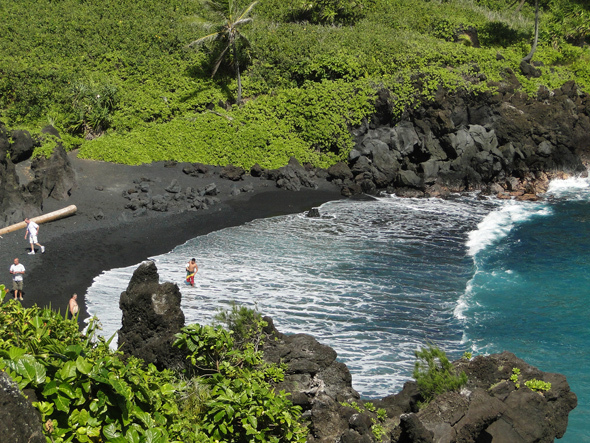 This is definitely not just another run-of-the-mill black sand beach, which is why it deserves its spot on my MUST-SEE list for your trip to the island! Here is the low-down on the best things to see and do here, plus a map and directions for getting here. 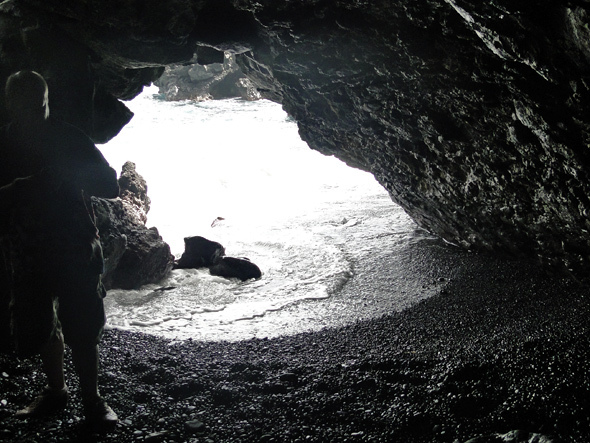 Firstly, there are seaside lava tubes located right next to the beach. As long as you're not claustrophobic, these are always fun to explore! The second thing that's cool to see here is the sea arch, with a sea cave located beneath it! While I'm on the topic of sea caves - there's more than one here. However, they say that the BEST one is located under that sea arch. Why is this the BEST cave? Honestly, I don't know... I guess if I'm ever daring enough to see it for myself, I'll find out! It's supposedly possible to get in there if the tide is low and the ocean is calm, BUT, before you decide to try this, please see my cautions about swimming here below. Don't Forget to Check The Blow Hole! While you're here, don't forget to check if the blow hole is spouting off. We've never been fortunate enough to see it in action, but it's worth checking out in case you get lucky! Just don't go too close to it and obey the signs! Walk down the path and you can see the very pool where she was said to have been killed. If that's too morbid of a reason to walk the path, then go for the lush views instead! 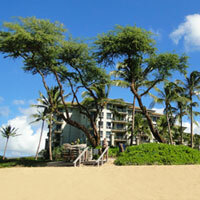 Are you interested in another enticing tidbit about this beach? An ancient coastal footpath called the "King's Highway" goes right past it. 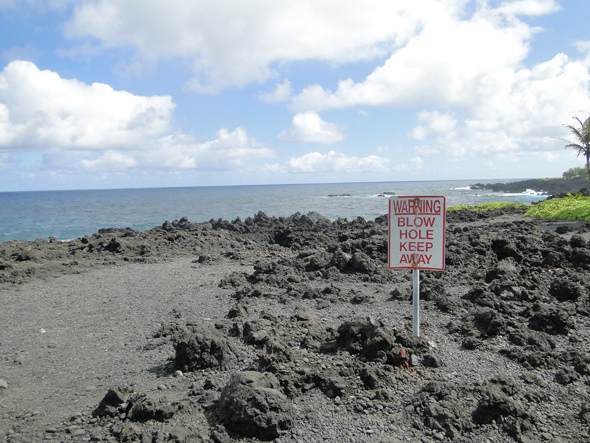 You can even follow this trail all the way from the beach to Hana! 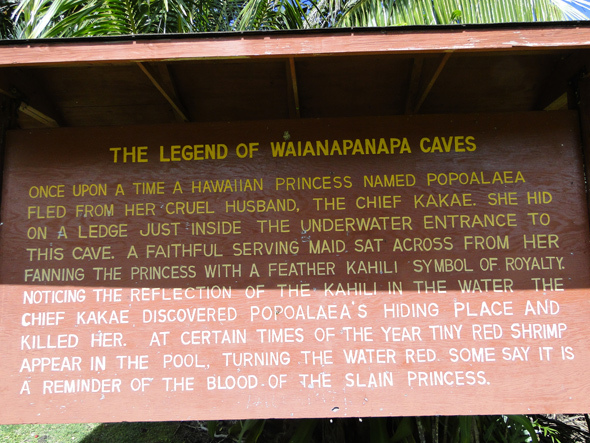 It was built eons ago for Maui royalty and their messengers - imagine what it would be like to follow in the footsteps of the old Hawaiian Kings! Apparently, they used this trail to travel all around the island. Today, all parts of this impressive trail are no longer intact, due to a combination of erosion, development, and neglect. 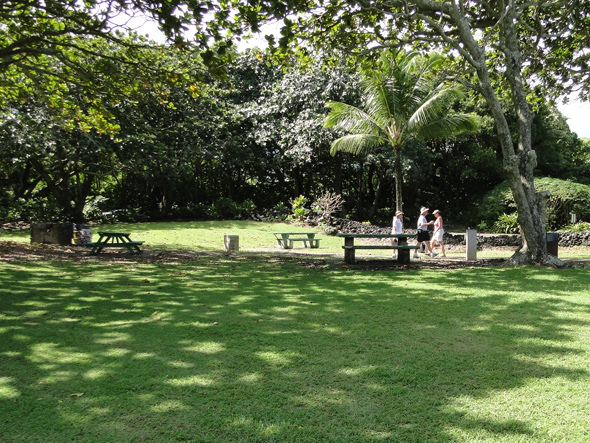 But, you CAN access an intact portion of the trail just off the beach. If you plan on exploring the King's Highway, make sure you wear sturdy shoes and bring lots of water. 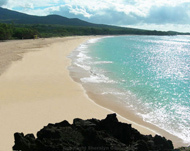 As you can see, this place has a lot to offer if you have a bit of an explorer in you! 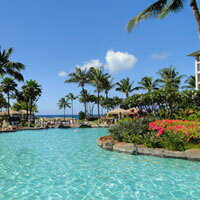 You'll notice that I haven't mentioned swimming here... well, there's a reason for that. 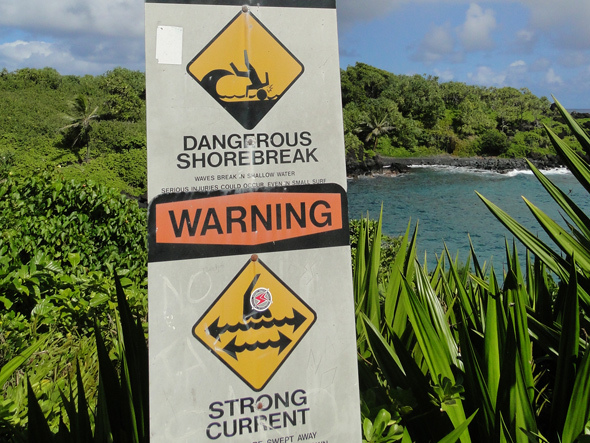 This area is generally NOT considered suitable for swimming due to a dangerous reef and strong currents. Even if the ocean is calm, there are jellyfish to worry about. I'm a HUGE chicken, so a fear of getting stung by a jellyfish is more than enough to keep ME out of the water here! 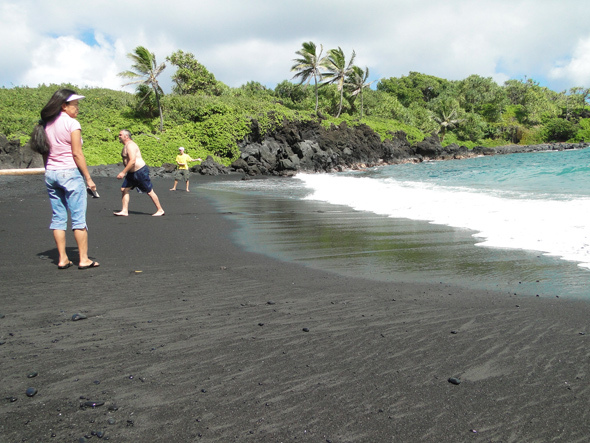 The sand here is not the soft, silky sand you're used to on most of the other beaches on the island. 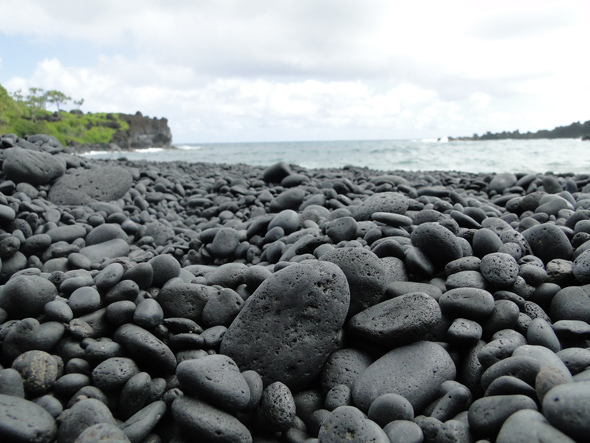 Closer to the treeline, the "beach" is made up of medium-sized stones. As you get closer to the water, the size of the stones gradually shrinks until you find yourself on small pebbles, and finally, where the surf is crashing on the sand, it's, err, actually sand. Despite it's pebbly nature, if you spread out a towel, you can still lie comfortably on the beach to suntan and enjoy the scenery! 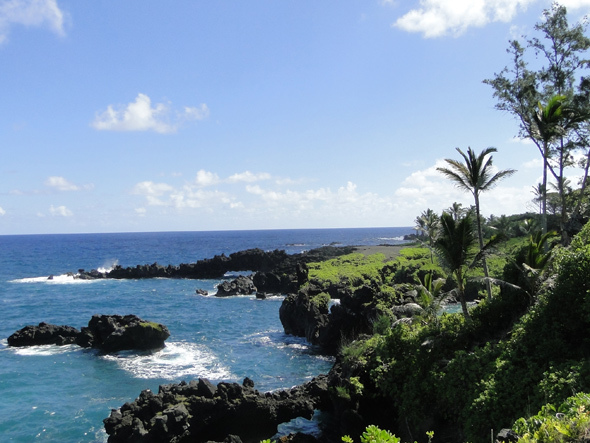 It's located in Waianapanapa State Park, about a 3 hour drive along the Hana Highway from Kahului airport (the turn off is just past mile marker 32). Here is a Google satellite map of the area. 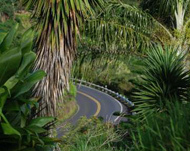 Note: Waianapanapa Road is also known as Honokalani Road. 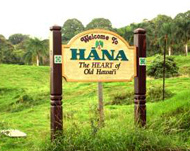 Now worst case if driving the Road to Hana to get here isn't your idea of a relaxing vacation, no worries. 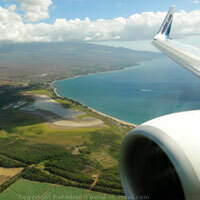 You can book a sightseeing tour to Waianapanapa here. With a tour, you can sit back and relax since your guide will do all the driving and take care of your meals.